Many guitar players around the world that have played acoustic guitar for years and have been avid watchers and listeners of its development, would know the impact of Davey Graham the British guitar player. For many players he was their inspiration in sending them off in another direction. Have a listen to this old recording on youtube video of Davey Graham and you might very well hear a similarity in what Jimmy Page did on the Led Zeppelin 111 album. Davey Graham had an impact on other great players of the time such as Nick Drake, John Martyn, John Renbourn, Richard Thompson, all his contemporaries, but the Davey Graham flavour is definitely there, also there’s more cigarette smoke in there than I’ve seen in about 30 years or so. I could almost post this amongst crazy hippy sixties stuff, but the guitar playing is of too much value. This video is part of a film from the late sixties, complete with gypsy hippy dancer floating backwards and forward in front of Davey in a cafe. Most of us that play open tuned guitar recognise Davey Graham for his contribution to DADGAD guitar. If you like Acoustic Blues, I’d recommend that you check out this Laurence Juber Youtube Video. It’s rather soulful. You may or may not know Laurence Juber. He has a member of Paul McCartney’s Wings. One very iinteresting thing about his style is he plays fingerstyle with no nails. He is very well respected amongst agoustic guitar players and held in very high regard, I’m not surprised. Unfotrtunately I am not sure who the double bass player my apologies on this matter as it is nce to respect the contribution of all players. Here is a link to Laurence Jubers site. This Youtube video features Phil Keaggy playing his Olson guitar and is more adventurous than my previous post where Phil Keaggy was playing more of a slow introverted tune. In this one the acoustic guitarist is using more contemporary techniques such as tapping, its also very percussive and full of harmonics and hammer ons andlots of arpeggios (Chords broken up) . This is really an interesting video for players that are not overly familiar with these techniques and are looking for ways to expand their guitar players toolbox. If you like these type of techniques and are not familiar with Andy McKee, then I suggest you check out the Andy McKee Youtube Video at my other Guitar Blog Site the-guitarplayer.com. Both my sites are regularly updated with quality acoustic guitar material. This youtube video of Phil Keaggy playing Acoustic Guitar is a very good example of a guitar player that is really thinking about texture. Although it’s great to play spontaneously, when you take the time to consider simple things such as when to use a plectrum (pick) or when to drop it and play fingerstyle, you’ll ultimately end up with a result that suits the flavor of the tune. Phil Keaggy is now one of the acoustic guitar players at the forefront of his craft, which equals playing beautiful guitar. He’s a player worth exploring. This video of Phil has him playing an Olson guitar (a notable guitar worth owning), the use of amplification is very good in this clip and doesn’t destroy the guitar’s sound, the amplification /processing adds a little depth to the recording. He also is using a Schubb capo, my favourite because they don’t put the guitar totally out of tune if you kuse them right. Personally I use my schubb upside down because I find it gives me better intonation. This tune is called the Wind and the Wheat, a very sensitive tune, the type that is worthwhile learning for when you want to just sit around and play and get lost in your playing. Quite frankly I find his playing exceptional and he’s a playing that is not going to go away. it also has many youtube guitar videos and guitar Scales in TAB form as well as the music notation. 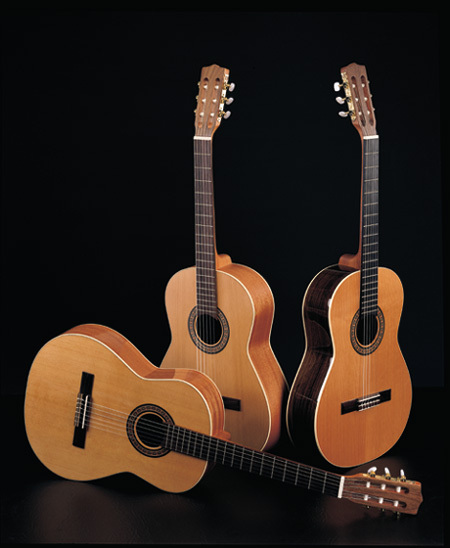 The La Patrie nylon string guitars have become very popular lately, I’m not surprised either, value per dollar they are possible the best I’ve seen around. For those Australians that have been waiting a while to get their hands on one because of limited availability, I was in Murwillumbah Music (ph 0266-725404) today in the Northern Rivers, just south of Tweed Heads and the Gold Coast, and North of Byron Bay, I noticed a couple in there. 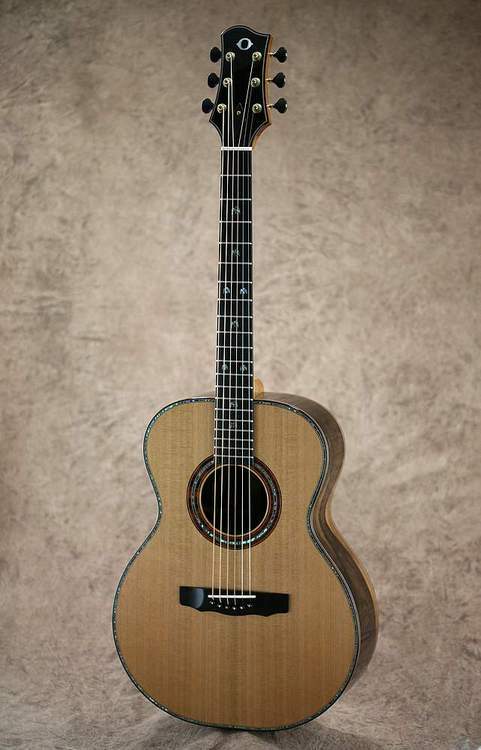 I’d get one for my son but he’s taken to one of my steel string acoustics, so he’s going to have to wait. The La Patrie guitars are Canadian, I’m still trying to sort out why they are so cheap. And no I can’t sell you one but regardless of that, it’s important for people to be aware of what is out there, and as the role of this guitar blog site is to upgrade the standard and bring an awareness, I ,thought it would be nice to post briefly about them. Where do you go to my lovely when you’re alone in your bed by Peter Sarstedt If you remember this song you’ll know why I’ve posted it. I’ve decided to post a couple of nostalgic Youtubes, songs that stand up by themselves that buskers and solo acoustic guitar players and singers would perform. As a soloist it’s always a brilliant tune to throw in every now and then. No, it’s not part of the Hippy Songs of the Seventies because everyone could relate to it. The story line is fantastic, very cutting I guess but very likeable. Note: this tune was from 1969. There are a couple of videos going around, this one is a touch short but I think is more beautiful than another more recent one. At a guess that looks like an old Eko guitar.